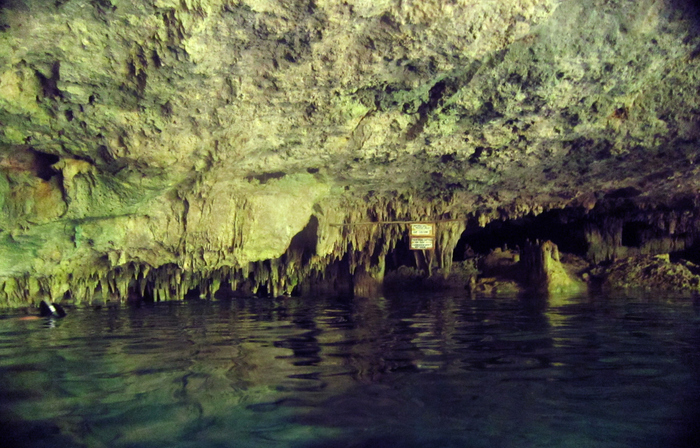 Confession: We have a love affair with cenotes. 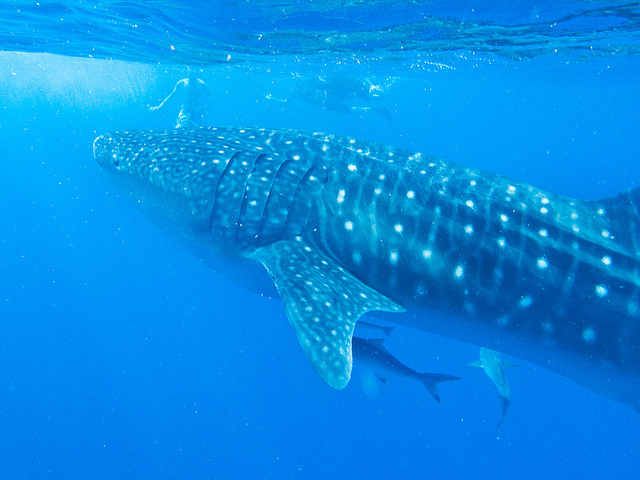 After swimming with whale sharks, visiting cenotes in Yucatan was one of the things we’d heard so much about. Cenotes are basically sinkholes: a hole in the ground formed after a collapse of its bedrock, exposing the groundwater underneath. The water is usually crystal clear, since it has passed through the ground that acts as a natural filter. There are thousands of these cenotes in the Yucatan region of Mexico. Swimming in cenotes has been one of the highlights of our visit in Riviera Maya, Mexico. It started out with a trip to Dos Ojos cenote, 15 minute drive outside of Tulum. First impression from out of the water was just ‘meh’. I was thinking – I don’t see what the raves are all about. One quick look under the water and I realised – just like life, underneath the surface is what counts. Below the surface was a world of shimmering turquoise blue pierced by rays of light. Below the surface was of world of limestone formations, hidden tunnels, blackness of the unknown. Below was a world I found both freaky and beautiful. Stalagmites jut out from the black depths – it reaches down too deep to see where it starts. Stalactites drop down from the cave ceiling piercing the surface of the water. There were fish darting about and bats swooping down from the ceiling. If you scuba, there’s so much more to explore since the cenotes in Dos Ojos are connected through underground tunnels. You can follow these tunnels from one cenote to another. If you’re just snorkeling, watching the divers underneath you and seeing things you wouldn’t see otherwise by following their headlights added to the fun. We love the feel of cool water after a hot day in Mexico summer. We love swimming in the fresh water (I think by this point we’re ‘beached out’). Now I’m spoiled for life, a=swimming in pools will seem boring by comparison. From Tulum you can take a collectivo heading north (25 pesos) and you get dropped off at the entrance. It’s then quite a walk to the cenotes themselves. If you’re lucky, you might be able to get a ride from passing cars. We rented a scooter from Tulum. It was a scary ride alongside the shoulder of the freeway. How much is the entrance to Dos Ojos? As you arrive at the entrance, someone will greet you and tell you that the entrance is 450 pesos per person including a guide. This is NOT true. He’s selling a tour. The entrance cost to Dos Ojos is only 100 pesos. There will be a section of the cenote that’s closed off for those without a guide but not sure if it’s worth the extra $20 per person to see it. Great pics! What kind of underwater camera do you have? One of my favourite places in the Yucatan, the cenotes are beautiful. Wow, these Mexico posts are making me want to book a vacation immediately! Love the underwater photos again!